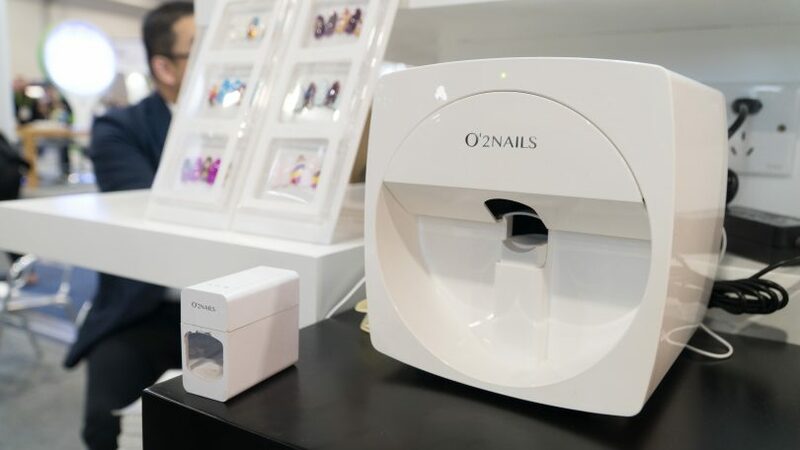 The O'2Nails mobile nail printer comes with an ultraviolet lamp for drying the nails. At Sands Expo and Convention Center in Las Vegas on Tuesday, Jan. 9th, 2018. Photo by Yukun Zhang / BU News Service. 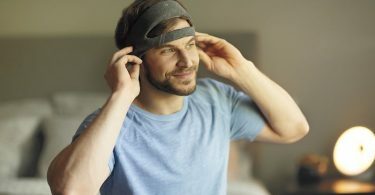 LAS VEGAS —With thousands of tech products on display at the massive CES 2018, it’s not surprising to come across a few that are head-scratchers or just plain different. Here are some that might leave you baffled or impressed. You choose an image from O’2Nails’ image library on their smartphone app and the Chinese company’s mobile nail printer paints it onto one of your nails in 35 seconds. Each printer comes with a cartridge that can paint 1,000 nails and an ultraviolet lamp for drying the polish. 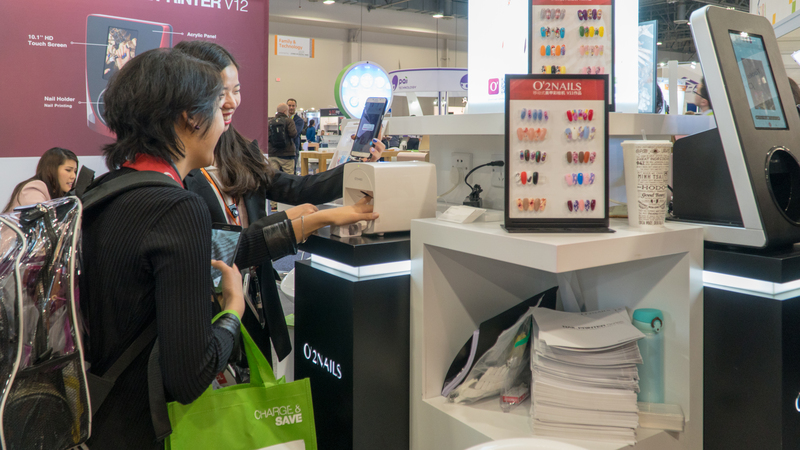 The printers are currently sold in the US and in China, mostly to beauty salons, said Leewana, a senior sales assistant. Katrina Lat, a reporter from Canada, said the printer was cool and “not too expensive” after getting a nail print. Tinailery, a nail salon in downtown Boston, charges $45 for a gel manicure, so a nail printer could be a worthy investment for manicure aficionados. Do your clothes end up in a heap on the floor? No problem. 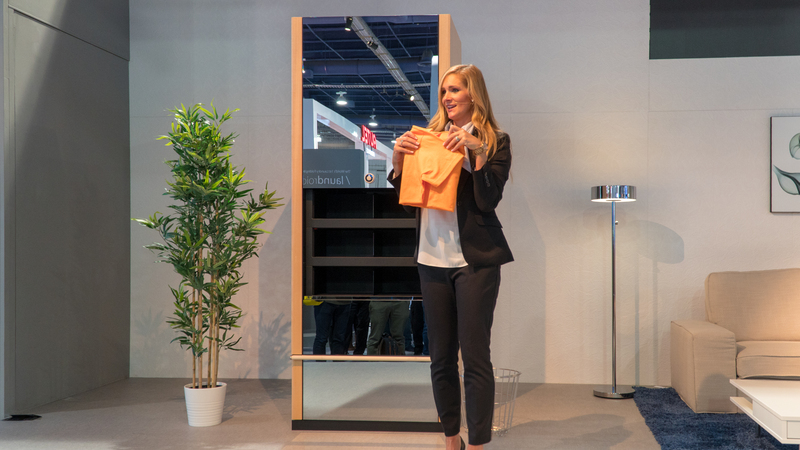 Throw them into the drawer and Laundroid’s robot arms, guided by AI, will pick up the clothes and fold them. Sam Yohannes, vice president of Seven Dreamers Laboratories, Inc., told the reporter that Laundroid could sort out clothes by type or by person, once the clothes have been registered. It can also give fashion suggestions based on the clothes you have. Yohannes said a Laundroid would cost about $16,000, but the company is aiming to lower the price to $2,000. Laundroid hasn’t been released to the market yet, but consumers in Japan can experience the machine at Laundroid cafe in Tokyo. Learn more about Laundroid here. This start-up from Beijing invented Drip and Drop, two bots that could make a barista’s job easier. 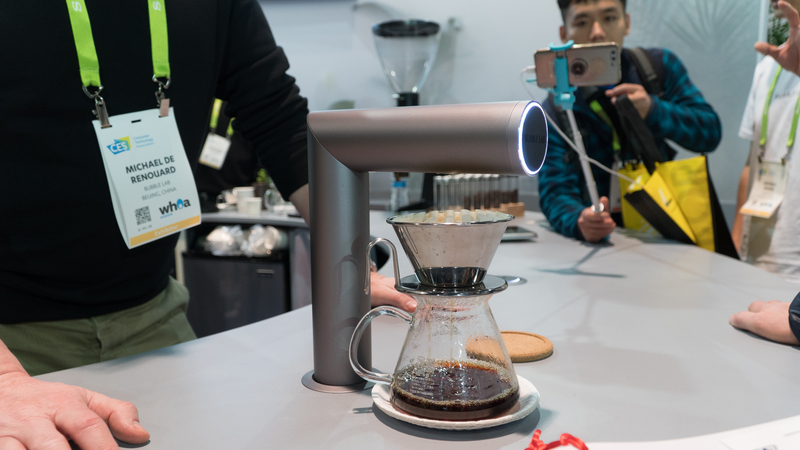 Drip pours hot water into a manual drip coffee maker, and does the job precisely by controlling the water temperature, says Michael de Renouard, a spokesperson for Bubble Lab. 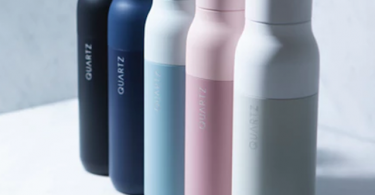 Drop is a milk dispenser. Both bots have simple designs and can be fixed on counters in coffee shops or offices. Martin Rauchbauer, an Austrian diplomat, tried Drip-made coffee at the Bubble Lab booth. He said he first thought this machine was absurd and inefficient, but after seeing a demonstration, he could appreciate its precision. However, “a barista may still be superior,” Rauchbauer said. Scooping cat feces may be the most unpleasant part of owning a cat, but cat-owners can now spare themselves by using Litter-Robot, a self-cleaning litter box. The bot’s weight sensor tells the machine to dump the waste into the drawer beneath the sand seven minutes after the cat has finished its business, and users can monitor the fullness of the drawer through an app. Litter-Robot hit the market on Black Friday last year. The app-enabled bot sells for $499, and a version without remote app-control is $50 cheaper. 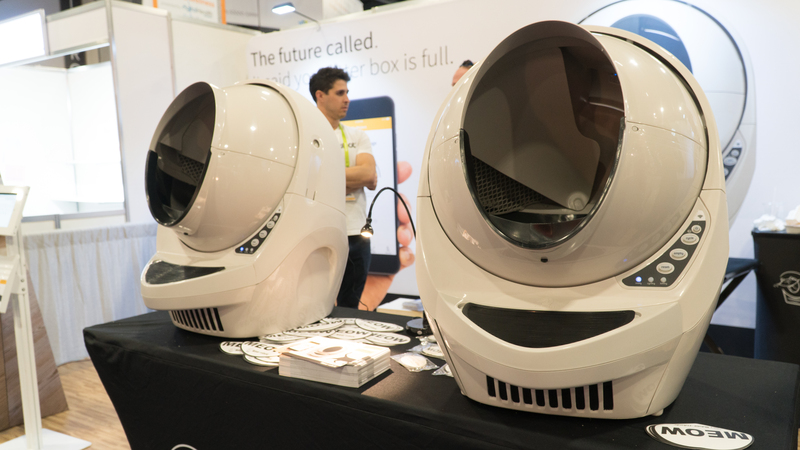 Jason Smith, designer of the litter box, said the company, Autopet, had been developing an autonomous cat litter box for 15 years, and the one on display at CES was the third generation. Litter-Robot is the only product the company has developed so far. Alexis Carlson Marcario, a cat-owner, said she liked the look of Litter-Robot, but it was too pricey, and there are cheaper alternatives. Plus: “I’m not sure my cat will like it,” she said. 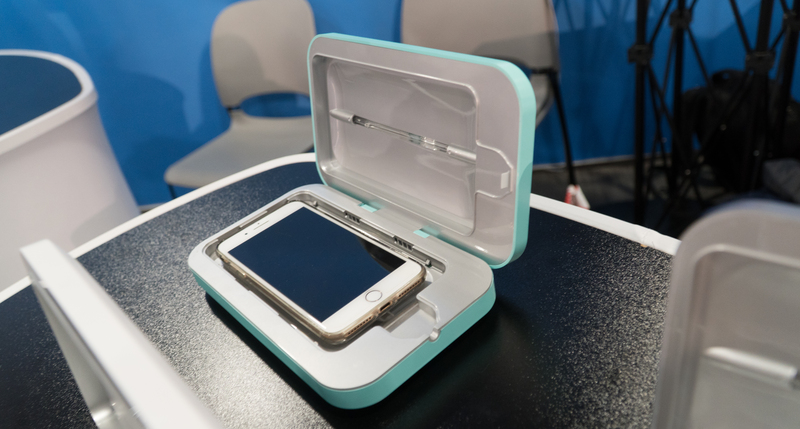 This box uses UVC rays, a type of ultraviolet ray, to kill bacteria on your cell phone in 10 minutes. Prices of PhoneSoaps range from $59 to $119, depending on the size. A prototype of a larger PhoneSoap, which can clean multiple devices simultaneously, is also on display at CES. 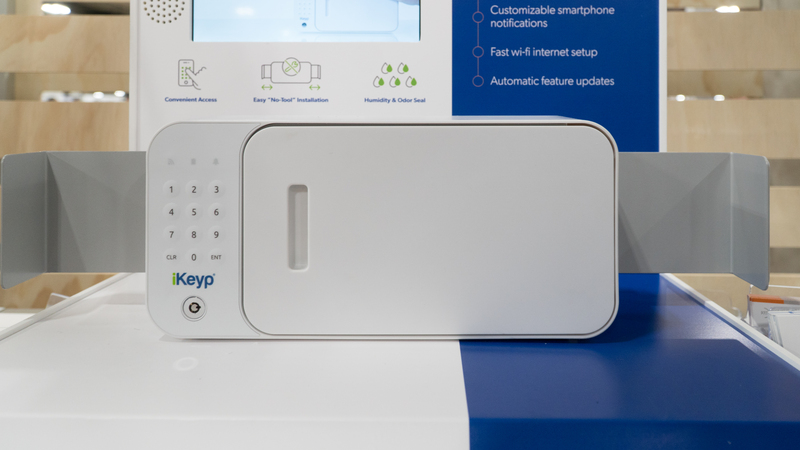 The iKeyp safes, sold for $149, can be opened with a passcode, a physical key or through a smartphone app. Jeffrey Hermann, a spokesperson, said the iKeyp safe was inspired by the opioid crisis and was first invented to keep drugs safe. “The safe is made small so that it can fit into medicine cabins,” he said. The iKeyp Pro can be fixed into a drawer by extending its wings, and the 3-pound wingless iKeyp Bolt can be fit into a wall or carried around when traveling. You don’t need to spend $500 on a robotic litter box!! You would be better off getting one of the innovative systems that use PERMANENT litter granules like the Tidy Cat Breeze or Cat-illac Cat Toilet systems for hundreds less.